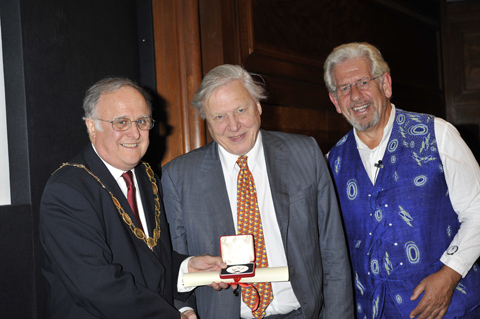 Veteran BBC natural history presenter Sir David Attenborough last night received the Progress Medal at the Royal Photographic Society’s (RPS) annual awards ceremony in central London. Sir David was also awarded an RPS Honorary Fellowship at the presentation, held at The Royal Institute of British Architects. This year’s winners included Chris Steele-Perkins who was awarded the Terence Donovan Award and Martin Parr, who won this year’s Centenary Medal. Joe Cornish, John Chillingworth and Ben Osborne were among those to win Honorary Fellowships.